VLC is a free and open source cross-platform multimedia player and framework that plays most multimedia files as well as DVD, Audio CD, VCD, and various streaming protocols. Here is the instruction to tell you how to use adjustment and effects settings in VLC. 2. Open a media file with VLC. . Audio Effects is used to edit the sound quality of the audio or video file being played. 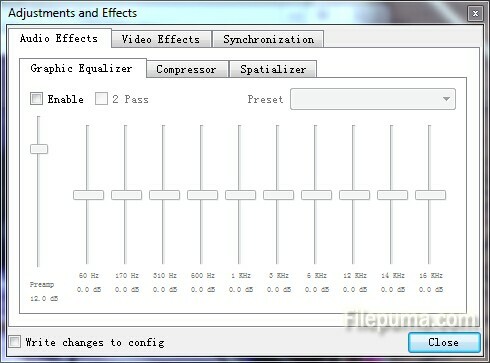 You can set the Equalizer, Compressor and Spatializer. 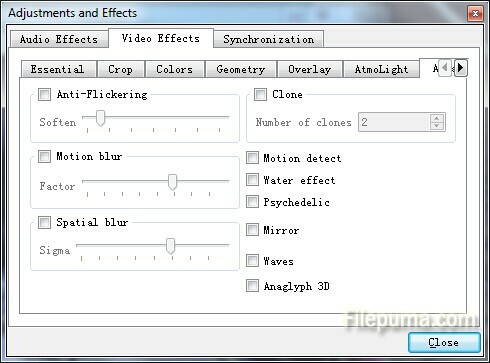 Video Effects can change the display settings of your video file here. Like adjusting the brightness and contrast, colors, geometry, and other feature. 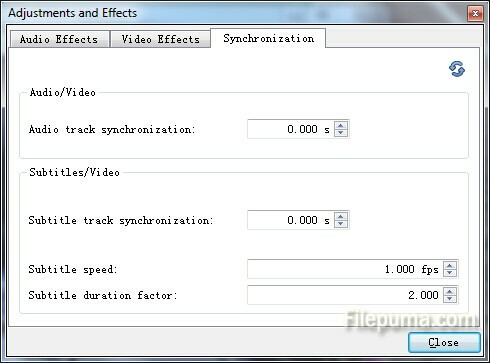 Synchronization allows you to change the synchronization of your media files.